Halloween at the Howard centre! 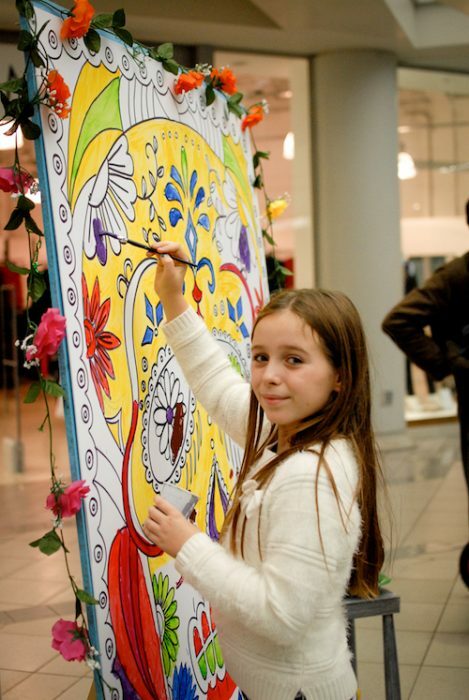 Home » News » Halloween at the Howard centre! 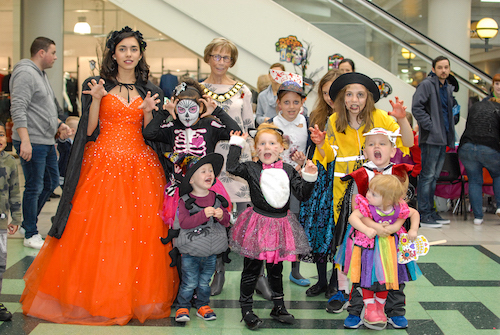 On Saturday 29th October from 11am-4pm the Howard Centre got into the Halloween spirit with a free Day of the Dead themed event. Children were able to make a Day of the Dead mask, decorate our giant skull art and take part in a Trick or Treat trail around the centre with prizes for the best dressed. 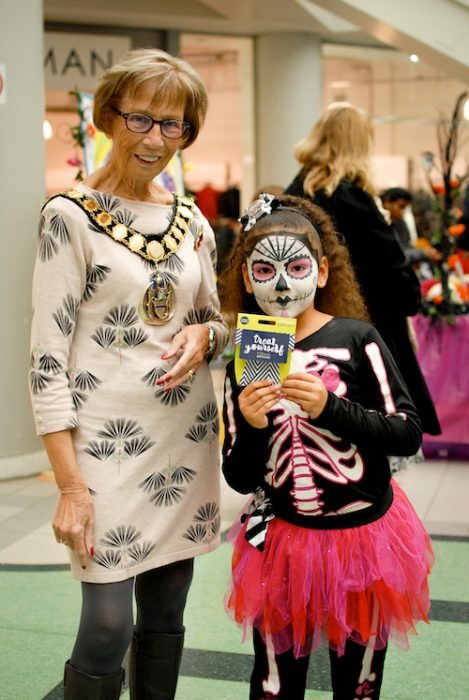 The Mayor of Welwyn Hatfield, Councillor Pat Mabbott judged the best dressed competition, presenting a £15 WHSmith voucher to the spookiest trick or treater, Jade-Faye. The Howard Centre also teamed up with The Welwyn and Hatfield Times and Gosling Sports Park to offer shopper’s free cupcake decorating courtesy of Gosling Sports Park as well as a free goody bag courtesy of the Welwyn and Hatfield Times, when the voucher inside the paper published the Wednesday before the event was produced on Saturday 29th October.